Every Thursday morning at 8:10, A.J. 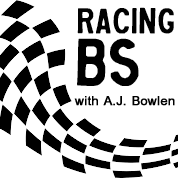 Bowlen joins Rick Evans to talk racing. They'll discuss everything from local dirt tracks, to NASCAR and the IndyCar series. Which 2019 premiere do you plan on watching? © 2019 WHCC-FM, Artistic Media Partners Inc.